For girls aged 5-18. Join us for fun, friendship, games, arts and crafts and lots more. We meet on Monday evenings in term time. We meet on Thursdays. New girls and enquirers always welcome. 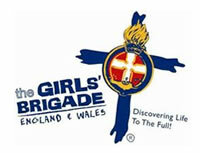 The 1st King's Sutton Girls' Brigade meet at the Baptist Church in King's Sutton on Friday evenings during term time. 5th Northampton Girls' Brigade Company meet on a Tuesday evening during term time.